Ballparks of America is about more than just America's favorite pastime. Three baseball dads had a common dream that came about whenever their sons played in baseball tournaments. Their dream would soon become what Branson, MO now knows as Ballparks of America, and what Babe Ruth League would designate as the current home of the Cal Ripken Major/70 World Series. Hamilton Chang, Craig Hutson and Doc Snyder all have sons who played tournaments on the fields in Cooperstown, NY’s Cooperstown Dreams Park. They recognized the potential that could come from a facility of their own, and eventually, the pieces just started to fall into place. But the focus of Ballparks of America isn’t just on baseball, contrary to what the name of the complex may lead one to believe. 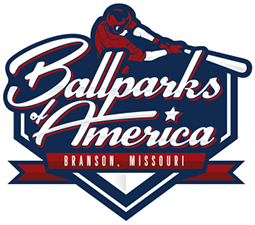 Of course, Ballparks of America is focused on ensuring kids between the ages of 10 and 13 enjoy the game of baseball, but more importantly the staff wants to make sure the kids have opportunities to enjoy time with friends and family while they’re in Branson. Branson features attractions ranging from live music and entertainment shows to a multitude of go-kart tracks and ziplines to White Water and Silver Dollar City, and that’s just to name a few. There are places to shop, places to eat and places to keep everyone entertained. And now, there’s a ballpark amidst it all. Ballparks of America currently features five turf ballfields, built to replicate several major league stadiums at two-thirds scales. Detroit Stadium, St. Louis Stadium, Chicago Field, Brooklyn Field and Boston Park were the replicas first decided on – since every city is home to well-known fields. “Our tagline is ‘a pro for a week, a kid forever,’” said Chang. Many who have attended tournaments at the complex have seen kids’ eyes light up as they hit their first homerun over the Green Monster like wall at Boston Park, or they’ve seen adults get excited to sit in the green seats at St. Louis Stadium. It’s apparent the complex is exciting to every person, whether it’s a player on the field or an adult in the stands. And what the complex offers doesn’t end there, they have team suites where players are able to hang out and use MLB-styled lockers. It makes for great bonding opportunities and memories that players may not normally make if they’re all staying in separate hotel rooms. Construction on the complex began in Mar. of 2016 and ended in Oct. of the same year, but they did a trial run with some tournaments in July of 2016. Overall, the complex currently works for what they need it to do. But that doesn’t mean it’s all they want it to do or be. The word many are using to describe the complex is potential, there’s so much room for them to expand – and that’s exactly what they plan to do. Although there are five fields that visitors awe at, there are minor additions that could further improve the current replicas – such as a right field overhang at Detroit Stadium. Chang said along with improvements to current fields, there are plans to end up with 15 fields total (yes, a Kansas City Stadium is high on their list) and around 120 team suites. In addition to the suites and fields, Ballparks of America is looking to add more vendors as well as activities for individuals who choose to just hang around the complex. “Quite honestly, we’re looking for more partners,” Chang said. His hope is that partners could help with the improvements and additions they hope to bring to the complex’s planned Family Entertainment Center. 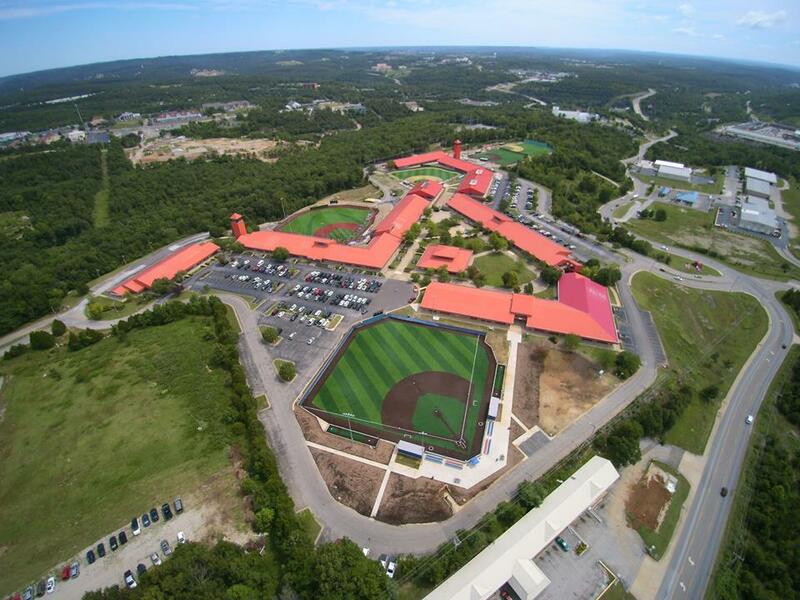 For all those baseball parents who have looked at the math on their napkins and dreamed about building a facility like this, Chang along with his partners and investors, did it. The ideas and potential are there, and the staff at Ballparks of America is excited to see how the complex improves as the years go on.